This beautiful Un Stitched Sky Blue colored Banarasi Weaved Silk Dress Material brings out your elegant best. The Silk material feel good cross the skin. 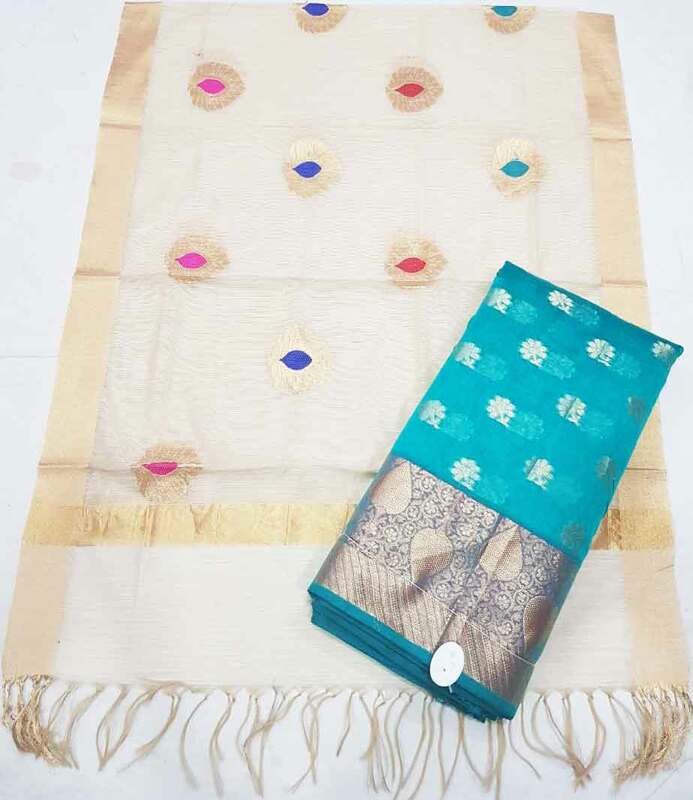 This dress materials comes along with Cream Colour Duppatta and Cotton Silk Bottom.This dress material is ready to stich in any style as desired.Accessorize this Dress Material with jewellery of your choice to look your stylish best and this dress is great for wedding, party or festivals.